Seven performances that exhibit Mac’s boundless charisma and range. Mac Miller knew how to put on a show. Since bursting onto the scene with his first mixtapes in the late 2000's, no matter how small the stage, Mac's oversized charisma was a constant in all of his performances. In the wake of Mac's untimely passing, here are seven of our favorite performances that highlight the range and humanity of one of Pittsburgh's finest. This early performance of one of the biggest tracks from Mac's fourth mixtape K.I.D.S. is a classic reminder of the boisterous energy he brought to every high school party in the late aughts. Fresh off his anointment into the XXL Mag Freshman Class of 2011, alongside Kendrick Lamar, Meek Mill, YG and CyHi The Prynce. The bars here on Funk Flex are blink-and-you'll-miss, Mac's technical skill at its absolute sharpest. In 2013, The Internet joined Mac for the Space Migration Sessions, lending a potent edge to tracks from his 2013 album Watching Movies with the Sound Off. Their collaborative approach to "Objects In The Mirror" is nothing short of pristine. Technically this isn't a musical performance, but Miller's scathing roast of the "egomaniacal attention thirsty psychopathic power hungry delusional waste of skin and bones" that tried to sue Miller over the use of his name well deserves inclusion on this list. 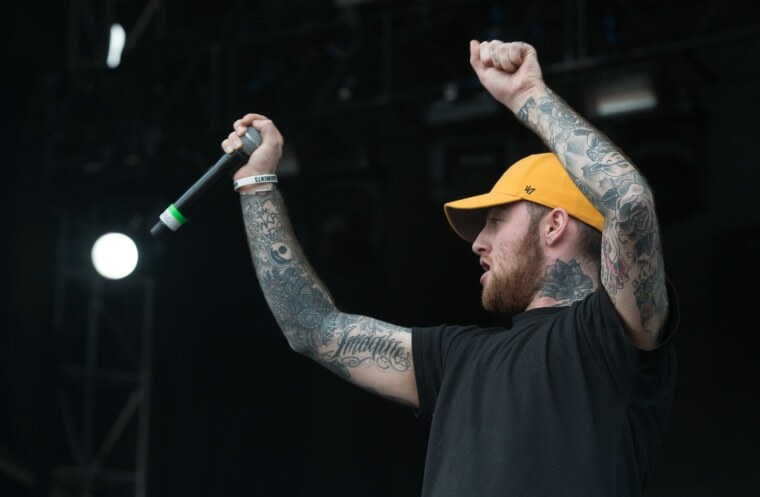 One of the more slept-on tracks off 2016's The Divine Feminine, his performance of "Soulmate" with Dam-Funk is a fleshed out realization of the soulful side to Mac's catalog. Mac's Tiny Desk Concert is a spectacular run through of three songs from his final album Swimming, including a especially funked out "What's The Use" with Thundercat, and a bittersweet take on "2009" backed by a string quartet.